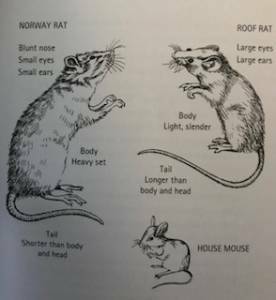 There are many differences between the rat and the house mouse. Aside from the many physical differences in the species, there is also the issue of perception. 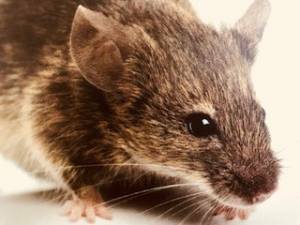 While there are some people that are afraid of mice – often the sudden glimpses of things zipping around a room – there are many more that are petrified of rats and utterly detest the idea of them taking up residence in our homes. This sense of disgust and the negative connotations of the rat mean that many homeowners will go out of their way to remove them. So what is the best way to control and remove these animals from a home? Why are rats such a problem within a home? The good thing about rats is that it isn’t always difficult to tell that they are around. They Norway Rat – the more common of the two pest rats in Australia – is a fair size and will make plenty of noise as it scratches around in roofs and walls. The bad news here is that all this scratching and clawing is the sign of a creature causing trouble. Rats have a habit of destroying wiring and placing electrical items at risk. They will also destroy materials within the doors and walls and even upholstery if they get into the rooms. Another big concern here is their taste for human food. They will eat pretty much anything left out for them, and they are smart enough to remember a good stock of food when they find it. How can we control rat numbers in and around our properties? Prevention is always better than the cure with these creatures. If we can stop these rats from coming into the home in the first place, we have a better chance of making sure that they don’t stick around to cause damage. The first step is to make sure that the entryways, yards and other connecting parts of the property don’t invite the rats in. Watch out for rats around the garbage and any waste around coops, runs and other animal-focused areas of the home. Don’t give them a place to feed, drink or make a nest that it is in close proximity to the home. Eventually, those that make a home in the yard will start to explore the house. Calling in the pros at Sunnystate Pest Control. The extermination process of this professional team is pretty straightforward and should work on any rodent infestation. There are pros and cons to the approach depending on the type of trap used. However, the right trap, in the right place, will catch these rats. The first step is to figure out where they are coming into the home and setting up the traps at the most appropriate points for a quick catch. Some will use baited traps to lure them in, poison them and leave them to die back in their home. Others prefer the quicker traps for a precise death. This is a more certain way to know that the offender has been taken care off. The quicker and more simplistic the method, the sooner you can enjoy peace of mind in your home.